Plan your next vacation to the Palmetto State's beautiful Lowcountry region. 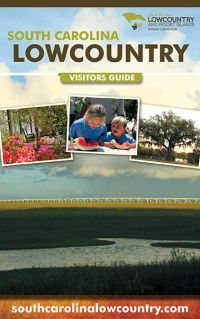 The Lowcountry offers a wide variety of activities and culinary delights, as well as a taste of the rich history and the natural beauty of the South. 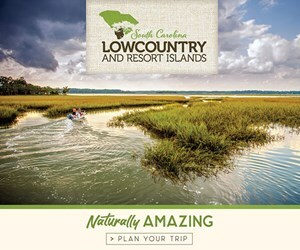 Our Lowcountry Region is South of Charleston - North of Savannah - Just Near Heaven. We beckon you to explore our cultural heritage and sea island lifestyle. Warmed by Southern breezes and shaded by live oaks and stately palms, this area offers miles of white-sand beaches, championship golf and hundreds of shops and restaurants. Activities include eco-tours featuring dolphin watching, canoeing, kayaking, paddle boarding, fresh and salt water fishing, as well as theatres, museums and art galleries. There are house and garden tours, bird watching in pristine habitats and many custom-designed programs. Year-round festivals and special events celebrate music, the arts, Lowcountry cuisine, wine, vintage motor vehicles, shrimp, watermelons, soft shell crabs, boiled peanuts, rice, African-American cultural heritage, PGA golf, plantation tours, and antiques - fun for everyone. Take time to visit the Frampton Plantation located at Exit 33, just off South Carolina's Interstate 95. It is a great place to take a break from driving and perhaps enjoy a picnic lunch in our back yard. 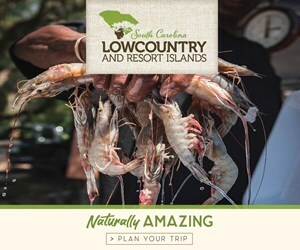 Come, experience all we have to offer and you will soon see why we call the South Carolina Lowcountry --- Naturally Amazing!